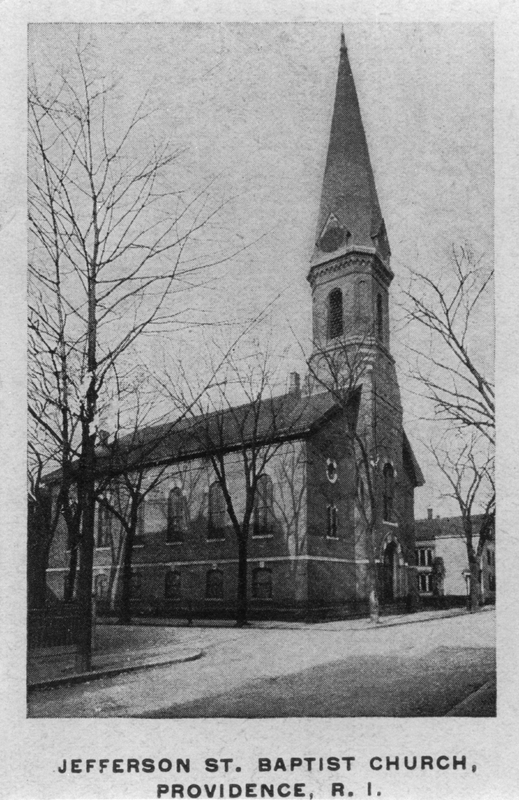 In 1847, the Eighth Baptist Church of Providence was founded at the corner of Davis and Common Streets. It was one of many Baptist churches in the city to be founded by former members of the First Baptist Church in America, located on the East Side, which had been founded two centuries earlier by Roger Williams. Residents of the Smith Hill area wanted a church closer to their homes. By 1857, the original building was relocated to Jefferson Street so it could expand to meet needs of its growing congregation. The church renamed itself the Jefferson Street Baptist Church. During the late nineteenth century, Smith Hill changed greatly in its ethnic and religious character, becoming a home for immigrants from Ireland, Scandinavia, Nova Scotia, and (most importantly for this story) Armenia. 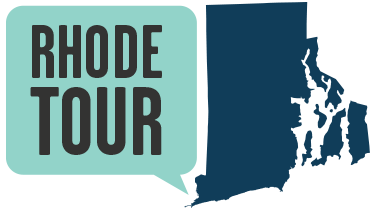 This reflected general trends in the city of Providence, which by the early twentieth century had a population that was 70% immigrants or the children of immigrants. This shift led many Protestant churches to close as many immigrants practiced other religious beliefs. Often the churches were torn down or converted to highly secular purposes – but the Jefferson Street Baptist Church would avoid such a fate. In an act of preservation, the Jefferson Street parish and neighboring Park Street Free Baptist Church decided to merge into a single congregation in 1912. Although the Jefferson Street Church was older, the decision was made that the newly-formed United Baptist Church would keep the Park Street structure and sell the Jefferson Street one. Meanwhile, the Armenian community in Providence grew. In 1888, Providence was recorded as having a small Armenian community of thirty-five persons; nine years later, this had grown to five hundred. In 1897, the Very Reverend Vaghinag Sisagian became the first pastor of the Armenian community in Providence. The community rented a location at 50 Exchange Place (present-day Kennedy Plaza). 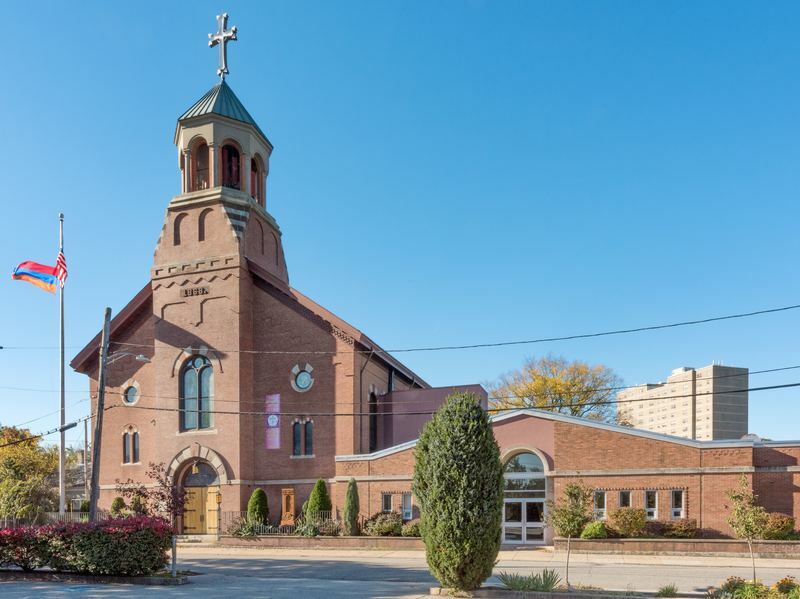 Plans to buy or build a building of its own never came to fruition until 1913, when the Armenian congregation purchased the then-vacant Jefferson Street Church. It was consecrated in 1914 by Bishop Moushegh Seropian under the name of St. Sahag and St. Mesrob Armenian Apostolic Church. The creation of Interstate Route 95 in the 1960s greatly altered the landscape of Smith Hill. Jefferson Street, once a longer street that connected with Smith Street just behind the State House, became a small lane on which Sts. Sahag and Mesrob is the only major building. Parking and accessibility to the church became a major issue. Between 1961 and 1971 church membership had declined from 831 to 337. The church leadership considered the creation of Route 95 to be the principal cause of this decline. In an effort to take advantage of these drastic changes, Sts. Sahag and Mesrob decided to capitalize on its location in one of the most prominent locations in the city – just above where Route 95 intersects with Route 146. The distinctive blue cross, added in the 1930s, had become a noted landmark not only to those on the highway but also to pilots approaching T.F. Green Airport in Warwick. By 1979 the original cross had become corroded, and it was replaced by a larger cross that is 14 feet high and 15 feet wide. Since 1994 the church has stood out even further from its surroundings by prominently flying both the American and Armenian flags, which was originally done to commemorate the Armenian Youth Federation Olympics held in Providence that year, but the flags remained even after the games were over. Saints Sahag and Mesrob remains an important center for the Armenian community in Providence. With Route 95 now an accepted part of the city landscape, church membership has rebounded. Although Roger Williams likely never foresaw a time when there would be Armenian Apostolic Christians in the New World (nor for that matter the invention of neon lights), the neon blue cross of Sts. Sahag and Mesrob stands as a monument to his vision of religious freedom for all. Saints Sahag and Mesrob Armenian Apostolic Church: This photo shows the church as it appeared in 2017. The name of the church honors two important saints of fifth-century Armenia. St. Sahag the Great was the Catholicos (chief bishop) of the Armenian Apostolic Church. His contemporary and friend St. Mesrob was the creator of the Armenian alphabet. Both men supervised the translation of the Bible into Armenian and are therefore also known as The Holy Translators. Their actions preserved the Armenian language and culture at a time when Armenia was politically divided between Byzantine and Persian control. 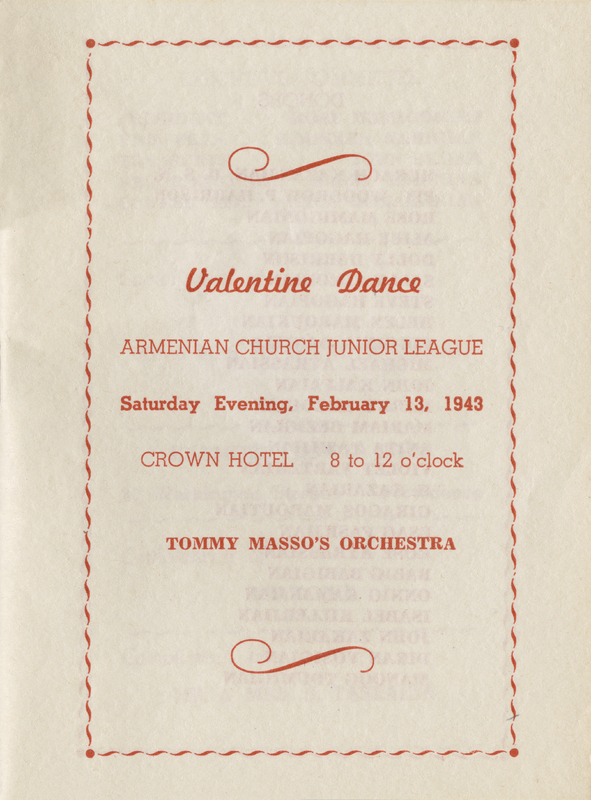 The church was honored in 1960 by a visit from Vazgen I, the Catholicos of the worldwide Armenian Apostolic Church, marking first time he or any of his predecessors had visited Providence. James Kabala wrote a much more extensive piece on Saints Sahag and Mersob Armenian Apostolic Church that we absolutely loved -- and thought you would too. You can read the whole piece here: http://www.rihs.org/saints-sahag-mes…apostolic-church/. James Kabala , “Saints Sahag and Mesrob Armenian Apostolic Church,” Rhode Tour, accessed April 21, 2019, http://rhodetour.org/items/show/244.